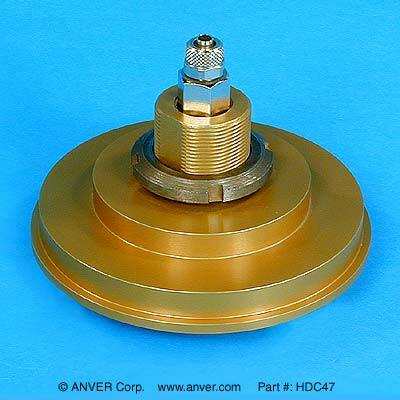 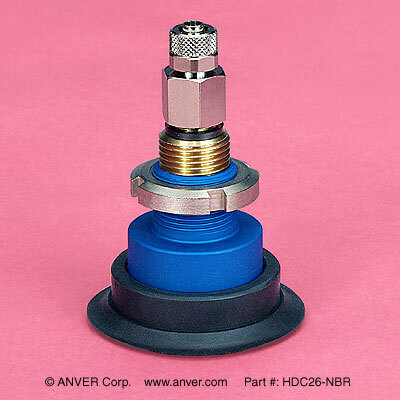 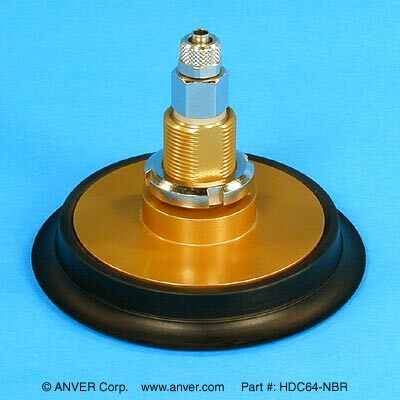 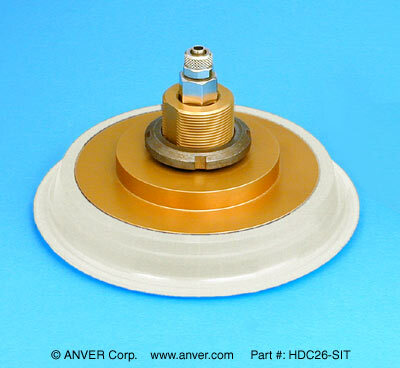 ANVER Vacuum Hold-Down Clamps provide quick and accurate holding of smooth, non-porous workpieces on benchtops, CNC machine tables and specialized fixturing setups. 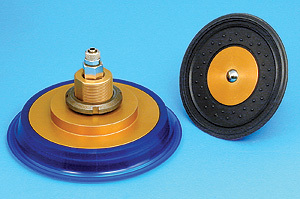 The vacuum clamps can be arranged to accommodate odd shapes, and release quickly for difficult setup changes. 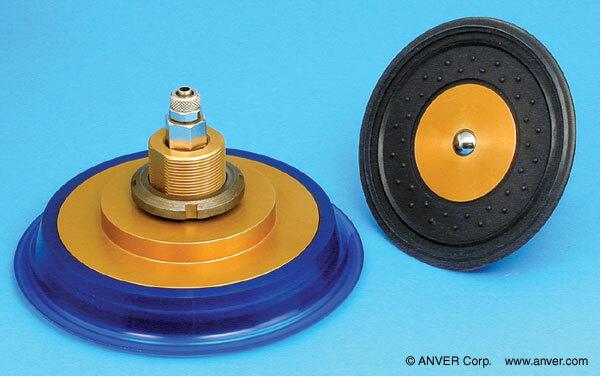 These unique vacuum clamps feature soft rubber seals ideal for holding finished or polished surfaces without scratching or marring. 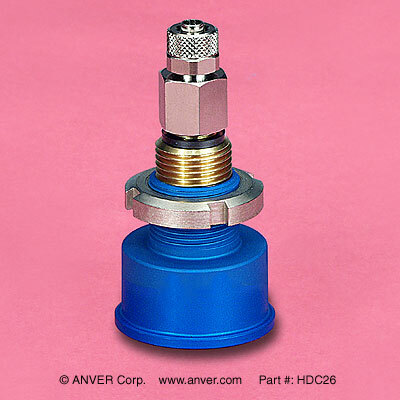 ANVER HDC Vacuum Hold-Down Clamps are ideal for many workholding applications in the metalworking, plastics, glass, stone, and wood paneling industries. 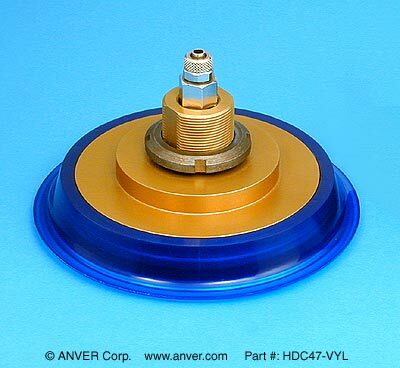 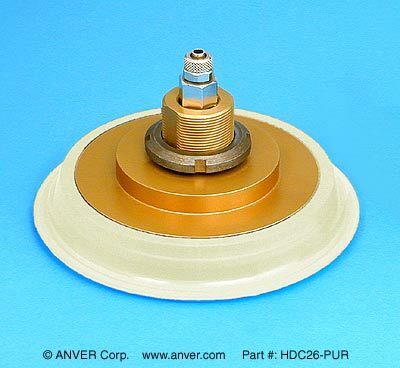 Seals are available in Nitrile (NBR), Silicone (SIT), Urethane (PUR), and Vinyl (VYL).